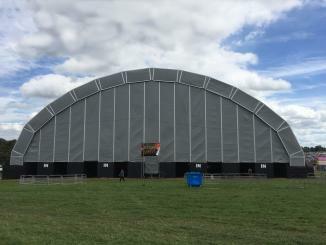 Custom Covers flexibility and skill makes us an ideal partner in any one off or specialised project in the field of tensile structures or fabric structures. 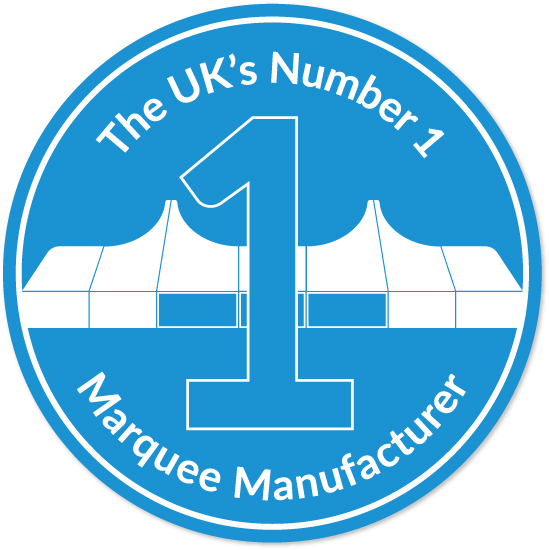 Our corporate goals are to be recognised as the supplier of choice in the Covers / Marquees market and to use technology and technical solutions to enhance our product range. Our diverse portfolio of tensile structures and fabric covers is a testament to these aims. Fabric can be used to enhance, to protect and to hide. All these features can be incorporated into a fabric structure. It is a building solution that has been used from biblical times to the modern day and incorporates some of the most technical high profile buildings. 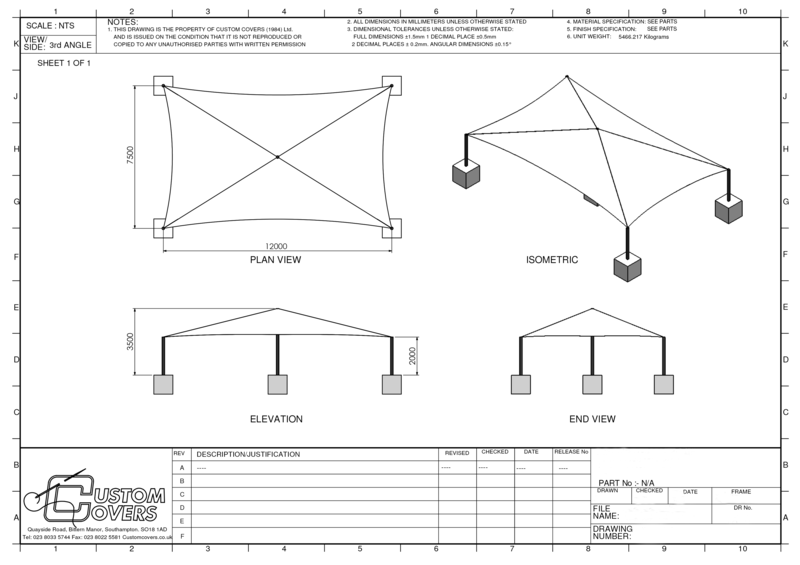 Fabric selection is a key component in any tensile fabric project. Modern fabrics are highly engineered and versatile and allow the designer to utilise their properties to achieve the desired look and feel. Opaque or block out fabrics allow the lighting within a space to be fully controlled. Fabrics are available in different weights and with different types of base cloth. Custom Covers can assist at each stage from design to installation. We have an experienced workforce and design software giving the possibility of working from a concept to the finished product. 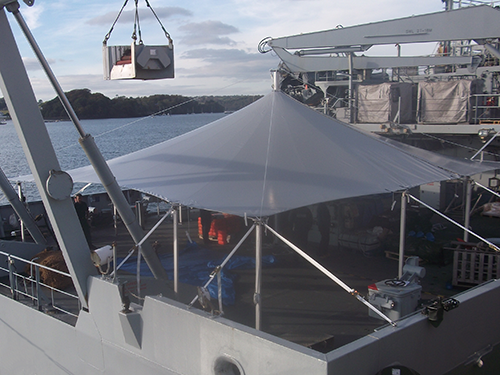 Manufacturing specific covers for ships, walkways, aircraft and trucks using PVC coated polyester fabric. 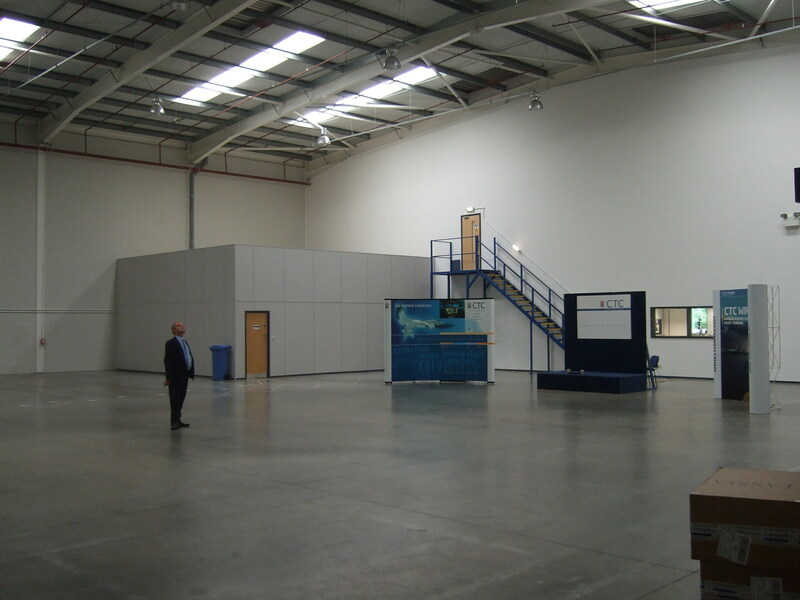 We have long experience in transforming building interiors for both temporary and permanent events, see our Transform It page for more details. 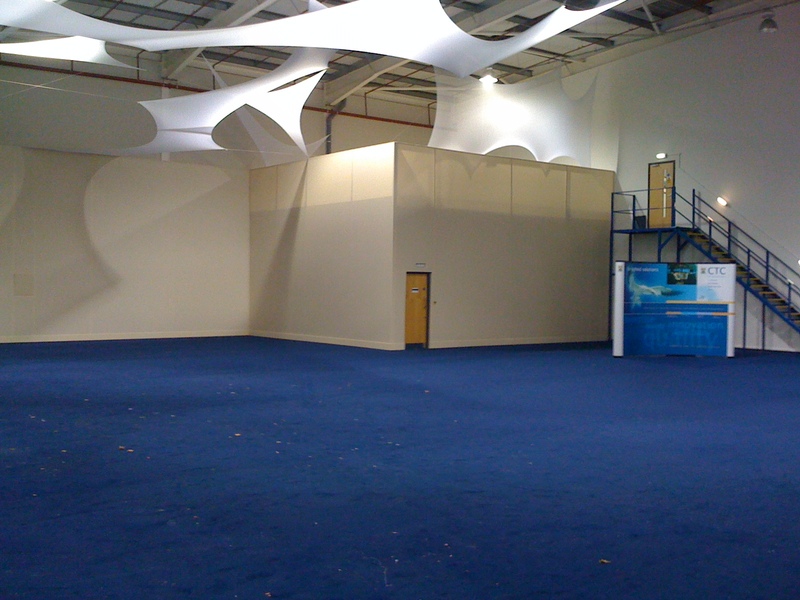 Projects include the dressing of tentage for corporate events, the fitting of insulated linings and light diffusion ceilings for sports halls.